Interesting Vera Bradley: Mother's Day! 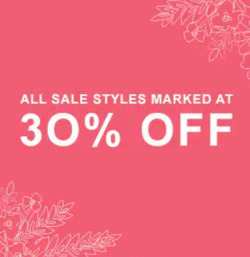 Vera Bradley: all Sale styles marked at 30% off! Vera Bradley is a company that specializes in selling luggage and handbags. Vera Bradley is a store that sells all sorts of bags, handbags, suitcases and luggage, and accessories. 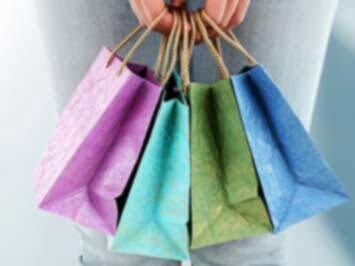 Their slogan is "Beauty for every day" and you can find items that work in your everyday life as well as for special occasions at this store. They have exclusive lines of Vera Bradley bags that you can online find at their stores. To find the Vera Bradley location nearest you, go to their official website at verabradley.com to use the store locator. While you're at their official website, you can also check their latest arrivals, as well as sign up for their loyalty program. It's called My Vera Bradley, and it's a way to get special updates and discounts on all your favorite products from the store. You can also add them to your favorites right here on Tiendeo and we'll send you all the latest Vera Bradley coupons and discounts. The idea for Vera Bradley came about when two neighbors were traveling together. Barbara Bradley Baekgaar and Patricia Miller were looking at the luggage that other passengers had, and they noticed that there weren't any pretty, feminine suitcases or pieces of luggage. So, they each kicked in $250 to start the line - which has become a huge success! Today, they have 160 locations and a legion of dedicated shopping fans. Did you know that Vera Bradley supports breast cancer research? Vera Bradley is a firm supporter of breast cancer research. The store has a few programs in place to help raise money and awareness to fight breast cancer. One place you can see their work is at Indiana University's Melvin and Bren Simon Cancer Center, where they sponsor the Vera Bradley Foundation for Breast Cancer Research Laboratories. There, scientists and researchers are hard at work trying to figure out how to stop breast cancer. They also work with the Vera Bradley Classic Women's Golf and Tennis Tournament, which is held every year in Fort Wayne, Indiana. On top of that, they encourage shoppers to come to local events and to organize their own, too. The company started working with breast cancer research programs in 1993 when the founders' friend Mary Sloan passed away after a battle with the disease. To date, they've donated $28.1 million to breast cancer research. Do you want to receive more deals from Vera Bradley by email?